We know its been a long time since our last post and with the new year we promise to keep you up date on all the exciting events we have been working on. So with that said, here is what Red Letter Events has been up to the past few months…. The sixth annual Roper Xavier foundations’s appreciation dinner was held on January 22nd at the Charleston Place Hotel’s Grand Ballroom. RLE was so honored to be a part of the year-long planning on the event with a wonderful committee of ladies! Economist, actor, author, lawyer, writer, and university professor extraordinaire Ben Stein was the honored guest speaker of the evening. The String Angels performed during the dinner set to entertain the guest with an electric on stage performance! The magnificent crystal lamps from Circa Lighting. White leather chairs and couches with back drop lighting transformed the Grand Hall outside the main ballroom at the Charleston Place Hotel into a sleek lounge area for guests to mingle. RLE’s own Stacey Fraunfelter was honored to walk in guest speaker and comedian, Ben Stein! Photography by: Marni Rothschild Pictures and Brianna Stello Photography. 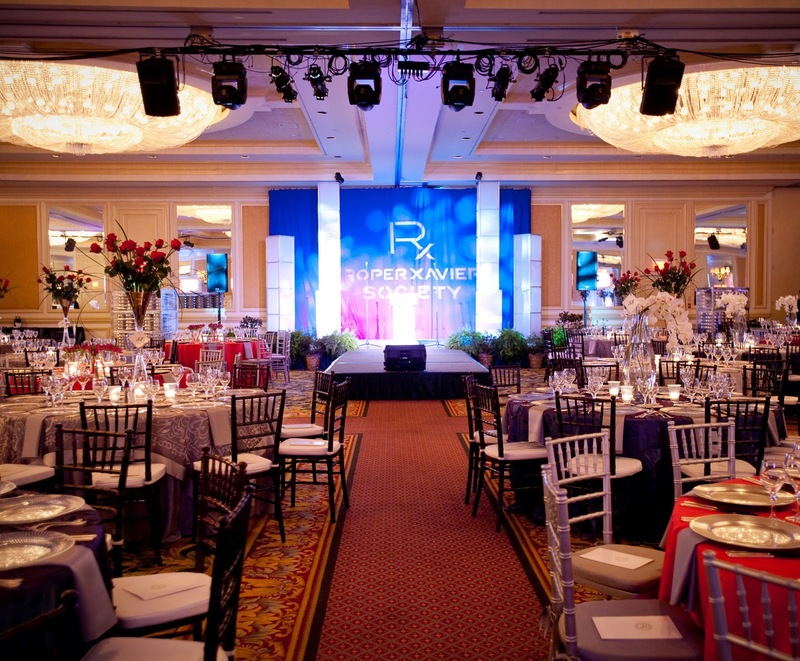 PDA Lighting & Sound, Charleston Place Hotel, Nancy’s Exotic Plants, Snyder Event Rentals, Snyder Lounge, Lotus Flower, BBJ Linens & Wildflower Linens, Circa Lighting.